A Freedom Outreach event requires many people with extraordinary talents to come together and create a high energy environment where we can effectively reach the youth. Through modern Christian music we are able to deliver the gospel of Jesus to the youth of your community. The ministries and bands that perform at our events are selected on the basis that they have a true heart for worship. Our events have all different genres of music to appeal to all of the diversities of our audiences. 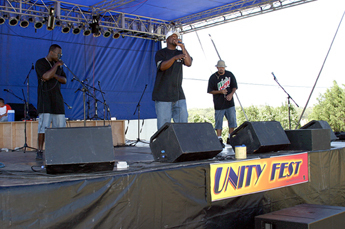 Freedom Outreach usually has many concerts a year. However we want to help your ministry revive the community you live in. There are many ways to have a successful event of your own. Browse list of bands & ministries. You can either have Freedom Outreach take care of all the details or you can contact our recommended bands and rent our stage, sound, lights, etc.